There are many misunderstandings among the general public about radiation. In Russia (and some other countries) every school child receives several weeks of scientifically correct education on the subject for the purpose of survival. The North American policy has been to leave people in ignorance. Worse yet, special interest groups spread their hysteria from the one extreme to the other. The military (government) says, "Don't worry about it - we will protect you - we just need more money for more and better weapons". At the other extreme, there are environmentalists who say - "It is all bad and unsurvivable - and there should not even be nuclear power plants or the radiation of food". Other countries provide fallout shelters and radiation equipment for their populations. China, Russia, and some other countries claim that they have a spot for every member of their population. Some like Switzerland and Sweden have two or three spots for every person, in case they would happen to be away from home at work or school. There are a number of countries, like Israel, that have for years required that every new building include a fallout shelter. But in North America there is no requirement to have shelters and I believe the reason is because unlike with missiles and weapons, there is no way large corporations can centrally or mass produce fallout shelters and make a buck. Consequently, there has been no effective lobby for shelters. If they could have been mass produced on an assembly line then it would have been a law that everyone had to have one. Instead, the US and Canada have closed the shelters that they had. They have taken down the signs and destroyed the supplies. The radiation detectors have been sent back to central warehouses and auctioned off as government surplus. In this page I am going to try to explain to you about these types of equipment. What you should look for, and what you should avoid. In the above picture is the recently auctioned off inventory in one warehouse for which I am presently providing free consultation to the new owners of the inventory, in order to try to find a way to get working meters into the hands of the public. 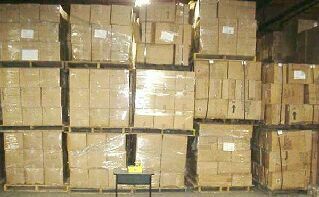 What you see facing you are fourteen pallets. The actual number of pallets, in just this one inventory, is over 600 and the number of meters in the stack are over one hundred and forty thousand. Last year I emptied the old Canadian Admiral inventory of 7,000 pieces (consisting mostly of dosimeters) and some of you know how much trouble I had doing that. This is twenty times larger. Not only that - there may have been more than ten other inventories this size previously auctioned off by the government in the last several years. Those are sitting in other people's warehouses. The market is saturated. But there is a problem. While these meters look nice - most of them, unfortunately, are probably now worthless because the government hasn't take care of them. The problem is sort of like looking for diamonds in a diamond mine. You have to move a lot of overburden to find one that works. These are most of the models in this particular inventory, although there are some other kinds also. On ANOTHER PAGE I describe the problems of dealing with these types of units, and what would be involved in going through them to find the diamonds. On the Internet and through locations like e-Bay you will find many similar types of detectors. They usually have one common problem - they don't work, and they cannot be repaired. They are not a bargain at any price. In fact they are a hazard. It is like having a fire extinguisher in your home that doesn't work - but you don't know it until you go to use it. On the rest of this page, I wish to give an explanation about the essentials that you should know about radiation and detectors. I also provide here links to both "official" government instructions on how to use radiation detection equipment and my own explanations with pictures, on the use of the equipment that we obtained in our group purchase, along with some other. 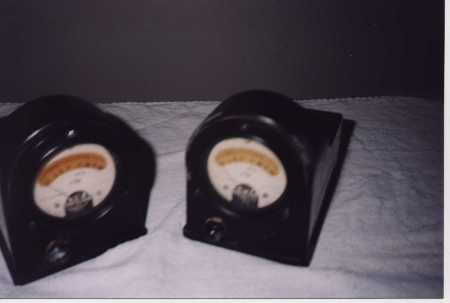 Rate meters may look similar to the ones mentioned above or they can come in a variety of other shapes and forms like the IM/108 or earlier Victoreens. Some are designed for use in an airplane, or to be pulled on a long wire outside a flying plane for surveying large areas very rapidly. Others have their probes extended on wires so that they can be placed at a remote location perhaps hundreds of feet from the meter. 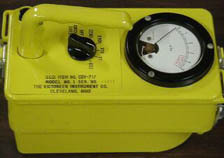 However rate meters are designed, they have a common purpose and that is to determine the rate of radiation. That is to say -how strong the radiation is. 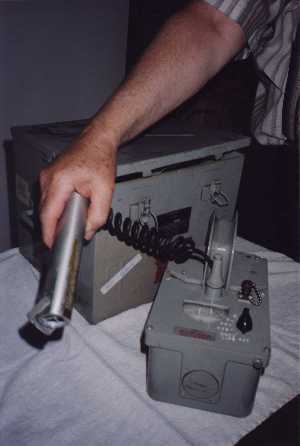 Some meters measure radiation only in low ranges and are pretty useless for nuclear war survival purposes. Others measure it only in high ranges (which is alright for our purpose), and still others (like the ones above) are switchable. To use a rate meter one needs to understand about the measurements or the rates of radiation, which I will explain a little further on. Rate meters need to be regularly (every couple of years, or in some legal situations - more often) tested and calibrated in order to know that they are functioning accurately. I would have to go into a lot of detail to explain how this is done but principally one needs to take the instrument to a lab that has a radioactive source and a trained technician. The cost for this service is currently running around $40. To buy a brand new good rate meter would today cost several hundred to fifteen hundred dollars. However, for nuclear survival purposes, very good tested older ones can be obtained for around $80 to $150. Unless you are dealing with a totally reliable and knowledgeable individual that you personally know, you should not buy an instrument that has not been recently certified. This does not mean that you cannot have a rate meter if you do not have that kind of money. I have personally built a rate meter out of common scraps of material found around any home and you can do so also. Here are the directions. It is, however, better to buy one if you can afford to do so. What you want is a rechargeable dosimeter. The really neat thing about a dosimeter is that you can also use it as a ratemeter - although it takes a little longer. A rate meter tells you how much radiation you are getting per hour, that is to say its reading will say something like so many R per hour - (I will explain that later). If you leave a dosimeter in radiation for an hour - and then look at its reading that will also be the R per hour - which should be the same reading that you are getting off a rate meter. If the dosimeter was in the radiation for two hours then you could divide the number by two. Or for ten hours - then divide the number by ten. You get the idea. If I had to choose between owning only a rate meter or owning only a dosimeter - I would choose the dosimeter. 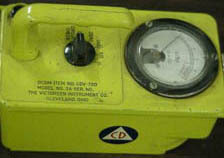 I would certainly prefer to have a dosimeter over building my own rate meter as I described above. 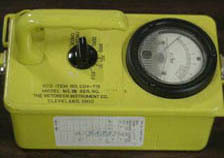 Dosimeters also come in low and high ranges. Once again low ranges are fairly useless for nuclear war purposes. New rechargeable dosimeters can cost two or three hundred dollars. Used low range dosimeters can cost about $80 and high range ones would be about $10. Fortunately we don't want the expensive low range ones any way. Unfortunately, at the present time I don't know of a good source to buy certified used dosimeters and chargers although there are still, at this writing, 30 sample tested 14 piece kits that we got as a super group buy, and that you can write to me about. Generally speaking, the ones that you see on the Internet have not been tested. One other neat thing about dosimeters is that you don't have to have one for every individual in a group. 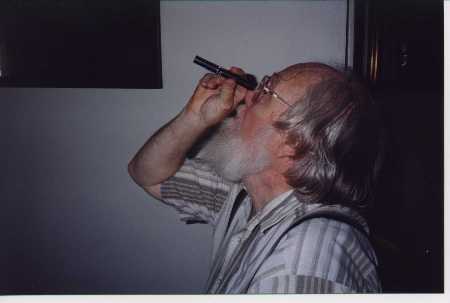 If one person in a group has an accurate dosimeter, then the reading on that dosimeter applies to everyone in the group if they have all been together during the exposure. Geiger counters are another story and while they would be a nice thing to have, they are so prohibitively expensive - running several hundred to thousands of dollars for a new one, and almost impossible to find in good working order used, that I will spend little time on them. 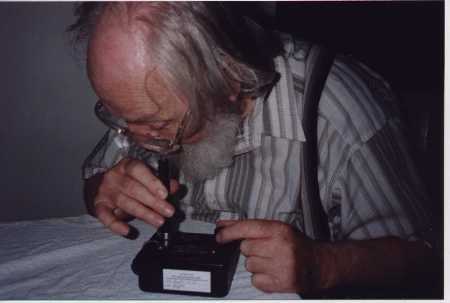 Geiger counters count the decay rate of radiation. More particulary, they also count beta radiation in addition to gamma radiation. Now this is important in surveying the safety of food and water but since this is more applicable to a post nuclear or recovery situation - I am not going to cover it here. Which works out to sixty four different measurements that you can come across in reading literature about radiation. I have conversion tables where I can convert from one type of measurement to another, but most people do not want to be bothered with that kind of detail. When we say that something is ten to some power it simply means that number to be fully written out - needs that number of zeroes after it. If it is a minus or negative power then it means that there is a decimal point and that many zeroes before the number. In North America we measure radiation in R (which can mean roentgen, rad or rem for our purposes). In Germany and some other places they use Grays. Still amounts to the same thing. We are really only going to concern ourselves with dosage as measured by a dosimeter. 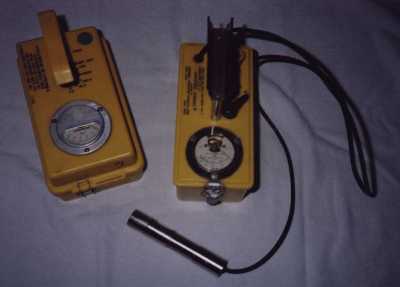 The R rating on a rate meter will tell you how much of that dosage you will get in an hour from the radiation source that you are measuring. So memorize the following table - and you know all that you really need to know to figure out the danger or how seriously someone has been exposed. There are greatly varying opinions about the dangers of radiation. Many of them generated by hysterical individuals with no scientific background in the subject. For a substantial recent study on the subject read the following article. The peace time danger from radiation has been GREATLY exaggerated. The very real war time threat which is much more serious has been GREATLY ignored. My hope is, that as a result of what you learn here, you will largely ignore the peace time concerns and concentrate on the war time threat. I will concede that humanity's use of nuclear energy for power generation is immoral when we have not developed a practical disposal system for the waste. However, there are other more pressing immoral problems facing humanity which threaten it with its extinction and nuclear war is foremost among these. 600R -- means 100% chance of fatality is expected. Some much earlier - but last within two weeks. 400R -- means 50% will die within one to three weeks. Those that don't die are going to be VERY sick and wish that they would. After a few days some may feel better but will often then turn, sicken and die in a few weeks. Lots of vomiting - hair falling out - and all that. and pregnant mothers. Even this level is a thousand times higher than the maximum general population exposure permitted under peacetime standards. The half life of radiation - why it can be deadly at first - but safe to come out 3 weeks later. (Which I think you will learn about in the above "quickie" university course). How to filter air in your shelter (The question that I am must often asked). I actually also answer it at Myth #4 but since it is a question that is asked so often - at this link I go into a better description of the how and why of radioactivity in the air in a shelter. MYTH #11: There is no such thing as a fallout pill. For up to date information on this - look at the KI4U link on each page.